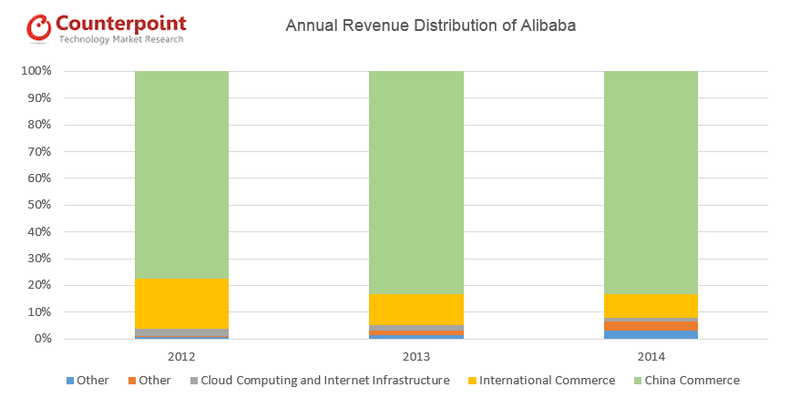 Alibaba is continuously growing at a significant pace; over 45% YoY for last several quarters. Mobile Monthly Active Users (MAUs) is growing faster than that, reaching 265 million with 95% yearly growth over Q4 2013. Newly acquired mobile customers are proving to be even more profitable for Alibaba as overall revenue has grown almost five times (448%) over the 12 month period. However, overall revenue growth is only 40% over the same period of time. As mobile ecosystems are becoming increasingly important for all marketers with customer and revenue growth heavily geared to mobile-first users, Alibaba is exploring opportunities for vertical expansion. An investment by Alibaba’s affiliated financial company in an Indian mobile-payments service hints at a cautious template for overseas expansion by the company. Instead of focusing on rapid growth, Alibaba is trying get advantage of its own platform. With its US$ 590 million investment in Meizu, acquiring a minority stake in the handset maker, Alibaba is likely creating a platform, initially, to develop its position in the Chinese mobile market. It looks more like a “Milking the Cow” approach to Meizu’s current strategy rather than a full vertical expansion. However, this is likely the longer term aim as Amazon has attempted with its range of Fire tablets and the conspicuously unsuccessful Fire Phone. Alibaba is undoubtedly paying close attention to its US rival and will apply lessons it learns from these observations. 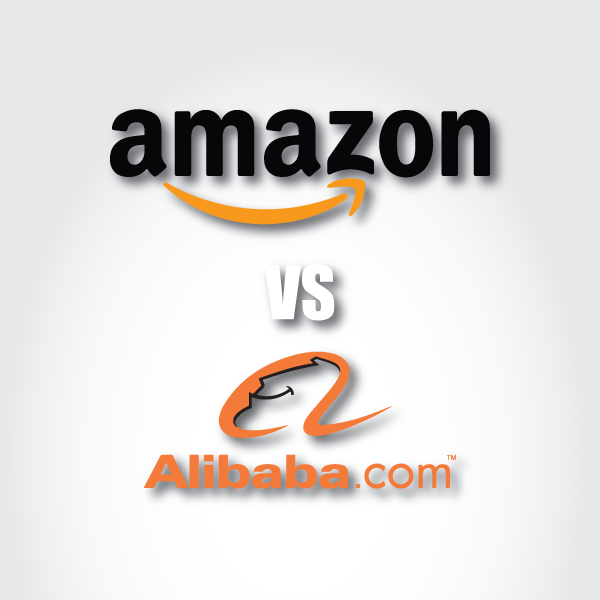 Comparing Alibaba with its US competitor Amazon – in 2014 Amazon has grown close to $90 billion in revenue with 20% annual growth. Recent announcements point to efforts to strengthen retail infrastructure and expansion in the mass entertainment sector — directly competing with content distribution specialists – Netflix, HBO Go, Vudu and Hulu. Amazon is also initiating developments to explore Online to Offline strategy (O2O). Mobile Commerce Investing in mobile payment company PayTM in India. Prime Now, a new service offering paid one-hour and free two-hour delivery on tens of thousands of daily essentials via a new mobile app. Alibaba invested USD$ 280 Million in Tango Mobile App may lead to an experiment as Mobile Commerce abroad. Alibaba acquired UC web to expand its horizon in mobile commerce. App Store Alibaba’s app store is large and growing fast with revenue over USD$ 2.5 Billion. Google’s Play store generated USD$ 5 Billion in revenue. With focusing on easy App discovery and customer experience, Amazon’s app offers a better user experience but suffers with limited interest. Operating System The company launched Aliyun OS, also known as Yun OS a few years ago. After investment in Meizu, expect more Meizu phones could run Yun OS or developments of it. Amazon Fire OS works well on tablet devices but misfired on the Fire Phone. Remains an area of focus to enhance and develop content distribution. Business model needs work. Cloud Service Alibaba has been working on the Aliyun Cloud service platform for Game and App hosting and also working on Aliyun OS for some time, having apparently evolved it from Android, although there is considerable dispute between Alibaba and Google. Amazon AWS is a hugely valuable asset and is widely used in a B2B context.Prime Photos free Unlimited Photo storage an example of Amazon’s B2C cloud service. Alibaba Invested USD 16 Million in Bale, Chinese film distribution company. Amazon planning to produce movies (planning for 12 movies in 2015) and TV series. Peel, an App let users control their TVs, DVRs, and satellite dishes, Secured USD $ 50 Million from Alibaba. The Beijing-based TV and movie production studio Huayi Brother raised USD $ 581 Mn funding from Alibaba. Artificial Intelligent Amazon Eco a new category of device designed around always on voice recognition. Alibaba invested USD$ 1.22 Billion in YouKu. In collaboration to share user’s data for better customer targeting and retargeting and also use as a video advertisement platform for Taobao and Tmall shops. Vmovier is a micro film sharing platform got an investment from Alibaba. Ecommerce Alibaba invested $15 Million in New York- based interior design, decoration online retail hoping to serve fast-growing Chinese luxury market. Amazon.in emerged as India’s largest online store. Amazon Fresh Prime members in eligible zip codes can combine grocery and other shopping into one seamless experience. Customers can order from over 500,000 items for same-day and early morning delivery. Yinman is an online fashion brands received funds from Alibaba for expansion. Fulfilment by Amazon grew by more than 65% year-over-year in 2014. These services will utilizes robotics, vision systems, and almost 20 years’ worth of software and mechanical innovations to fulfil customer orders. Online Education Alibaba acquired stake in online language learning platform with an investment of $100 Million. Travel & Tourism Byecity is travel portal specialize in getting visas for overseas trips manage to grab an investment from Alibaba of USD$20 Mn. A decent USD$ 250 Million investment in Lyft, a California base company and Uber rival. Planning to expand internationally. Alibaba invested USD$ 25 Mn in largest car service app. Investment in CFly will help Alibaba to grow in Flight ticketing space. Both Alibaba and Amazon are investing to grab land in multiple areas of both consumer and business to business activity. The Internet space is becoming increasingly crowded and acquiring new customers will be a continuous challenge. Focusing on retaining existing customers while maximising revenue through offering solutions for broader their needs will be key. And hardware is a critical distribution platform for integrated ecosystem players. 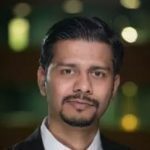 With little sustainable hardware differentiation possible, profitability must be derived from improving the number and value of transactions from existing customers. If this can be tied to one or more hardware platforms then this can enhance the experience and consumer retention, but doing an ‘Apple’ is a hard ask for any player. Mobile must be a primary focus for all of ecosystem players. However creating a seamless experience across all activity areas will remain a constant battle.